Last entry I touched on the idea that management and orchestration will be the future battleground for cloud providers. The future of IT operations is likely to take multiple forms ranging from some evolutionary enhancement to what folks do today (console based administration, reactive support) all the way through cloud scale programmatic operation of IT via devops process and tooling (examine any advanced AWS shop to see this in action). Somewhere in the middle is the vision that Microsoft and VMware are betting on to be the most; the “hybrid cloud” model. What does “hybrid cloud” really mean though? Well ideally, it requires a “cleaning of the IT house” when it comes to the management of on premise resources. Evolving ultimately into some semblance of an actual “private cloud” in terms of process and tooling, and then extended out to one or more public cloud providers in a seamless fashion. If your IT shop presents a service catalog to empowered technologists in your business lines who are able to procure services based on budget and SLA requirements, and then have those services instantiate on the platform that best fits their needs (be it on prem or at a provider), then you have what Microsoft and VMware would define as a “hybrid cloud”. Microsoft, more than any other technology vendor, has all of the component bits in the breadth of their portfolio. From the hypervisor up through the server and desktop OS to the application layer and tooling (both developer and management). With the addition of Azure, Office 365 and Dynamics they have a comprehensive XaaS platform as well. On the consumer side there is similar breadth of service and increasingly there are points of synergy between the two (Onedrive being a good example). The challenge for Microsoft has been in actually rationalizing all of these assets and telling a compelling holistic story. In addition, there are weak points in the portfolio where the offerings are not accepted as best of breed (VMware leads in virtualization, AWS leads in IaaS). Probably most importantly, Microsoft tends to approach problems from a monolithic perspective and the experience is generally not a great one unless you completely buy-in on the vision. Virtual Machine Manager: VMM has had an interesting history within System Center. It is the Microsoft (rough) equivalent of vCenter and these days is able to manage both native (hyper-V) and competitive (ESXi, XEN) hypervisors. 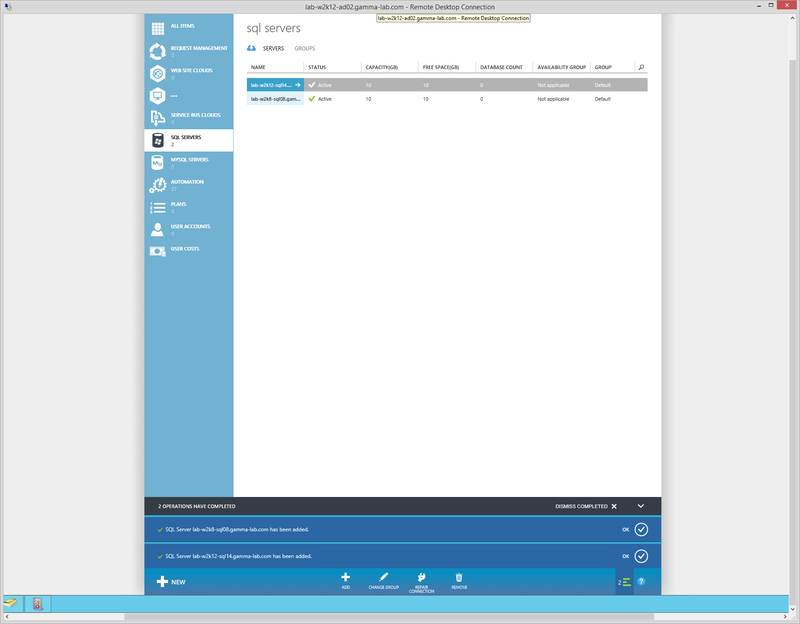 It is a critical component of the hybrid architecture in that it is responsible for surfacing virtual machine resources (organized within VMM into “clouds”) to the Azure console. System Center Operations Manager: no stranger to these pages, SCOM is Microsoft’s comprehensive, and extensible, monitoring platform. SCOM tends to be the manager of choice for Microsoft workloads and that trend continues here with the Azure hybrid model. This product maps most closely to vCenter Operations. Service Provider Foundation: this is an interesting set of bits. It is an OData web service extension to Virtual Machine Manager that provides a multi-tenancy layer for the resources that VMM manages. In the overall solution, this piece is closest to vCloud Director and is a standalone optional component packaged with System Center Orchestrator 2012. System Center Orchestrator (optional): this is Microsoft’s orchestration engine, also known as “what’s left of Opalis”. 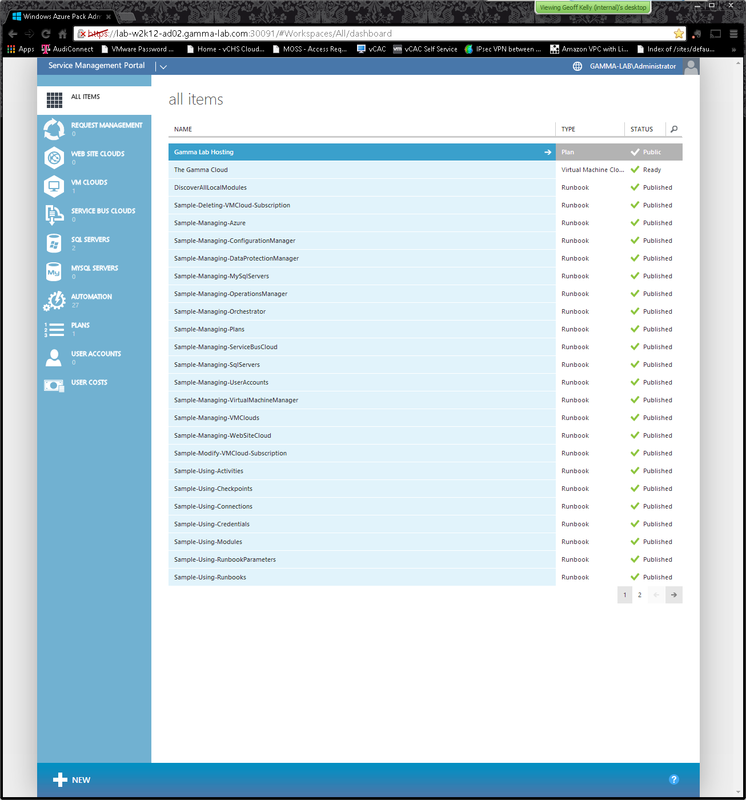 While a full install of Orchestrator is not an explicit requirement of the Azure Pack (again, Service Provider Foundation is required, but is a stand alone component), an orchestration engine if a vital component in any cloud strategy. Automation stands with identity management, in my opinion, as the two critical pillars of IT as a Service. VMware offers a similar set of capabilities in vCenter Orchestrator. System Center Service Manager (optional): service manager is Microsoft’s entry into the IT governance space. The purpose of this class of software is to assist IT in implementing, automating and enforcing IT operational process using technology. Essentially a policy engine, auditing system and dashboard, the service manager provides tracking and oversight of problem resolution, change control and asset lifecycle management. VMware’s offering is called, oddly enough, VMware Service Manager. SQL Server: really needs no introduction. In this case, Service Manager requires either 08 or ’12. The rest of the products are fine with ’14 and/or are able to utilize SQLExpress. I have 08 and ’14 in my lab and utilized ’14 for everything except Service Manager. Pick one service account, make it a domain admin and use it everywhere. Life will be a lot easier this way with this build especially. Of course if you are specifically testing the implications of a granular access control strategy then this doesn’t apply. The service account used for SPF and the VMM App Pool should be added to the Administrator role in Virtual Machine Manager under “Clouds”. Ignore the collation warning. Fantastic detail on that warning can be found here. SQL Reporting Services requires some custom configuration for Service Manager. Luckily the Deployment Guide covers it in detail. With a few clicks, SQL Server and MySQL capacity can now be rolled into a DBaaS foundation. Adding the capacity in is as easy as selecting the category on the left hand resource family menu (SQL or MySQL) and selecting “Add” from the bottom actions. The required options are straightforward: the server name (and optional port number if non-standard), credentials, a group assignment (Azure Pack provides the ability to associate SQL servers into a server group for easier control of consumption) and finally the amount of space that can be consumed via hosting (storage on the server allocated to Azure Pack consumption). Up next I’ll do a rundown of the experience using Azure Pack from both the service provider and consumer view. Where possible I will compare/contrast to the VMware experience. Stay tuned!